Week Plan is a powerful tool and you do a lot with it but in your first days with Week Plan, we suggest you focus on completing your Plan of the Week, and on developing your sense of Importance versus Urgency. Too often people confuse the Urgent for the Important. A father is having a rare moment alone with his child when his phone rings. The father is likely to pick up the phone. The phone ringing is urgent (and likely not important), the moment with the child is important. Week Plan helps you develop a sharp sense of the Important. Every time you will create a task in Week Plan, it will prompt you to define whether the task is urgent, and/or important. Try to deliberately set these attributes on the tasks, and overtime, it will become second nature. Any task falls into any one of the 4 quadrants below. You want to reduce the sense of urgency in your life, and spend more time on the important things of your life. 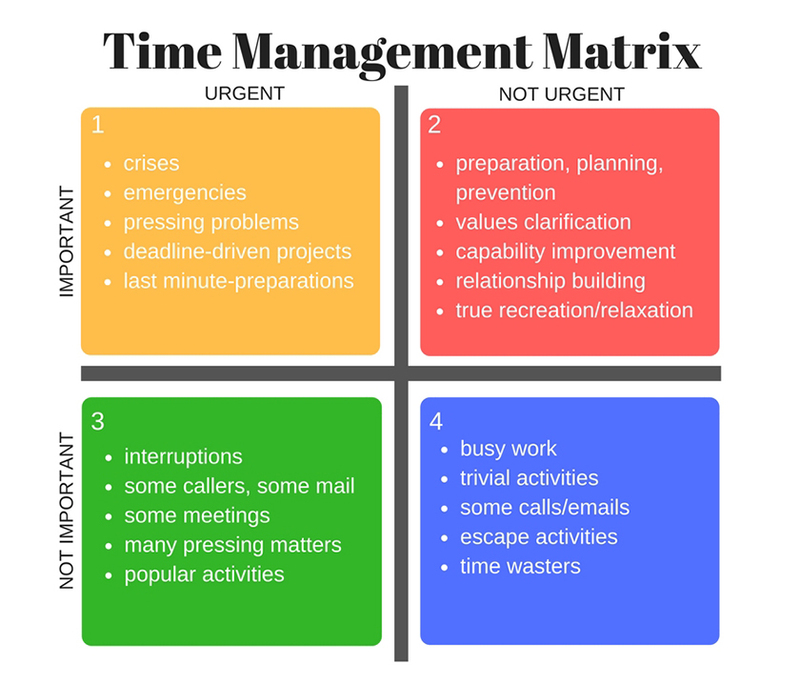 The Quadrant 2 tasks generally gets pushed back when something urgent comes up, and yet, it is the Quadrant 2 tasks that will help you reduce the urgency of your life.